Ringke Flip Card Holder also can be used as a kickstand. The surface gripping inner pad also offers non-slip, hassle-free kickstand for viewing videos or movies on your screen with ease at a comfortable angle. 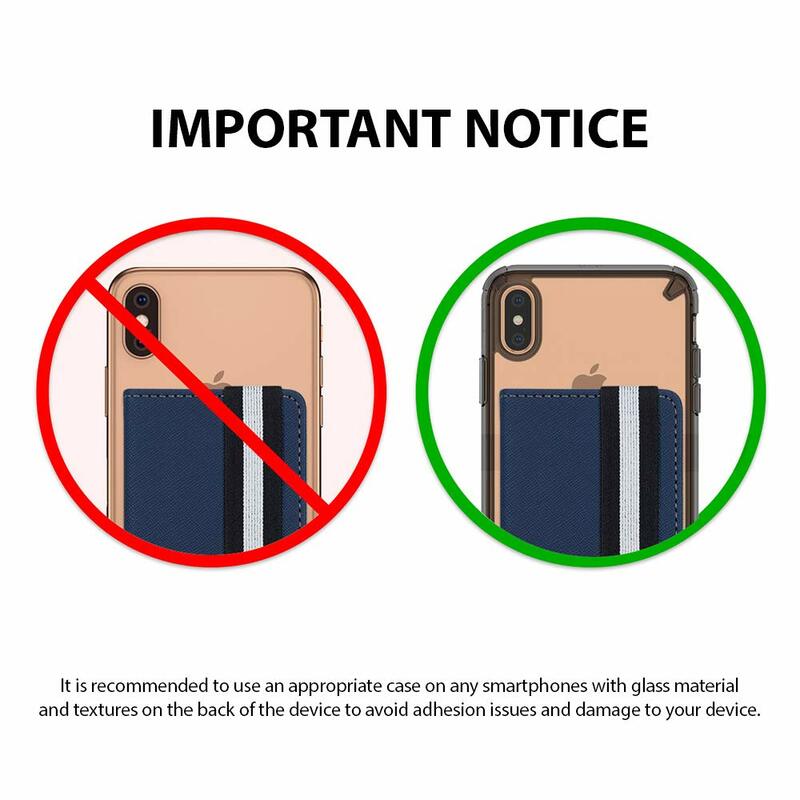 Durable and long-lasting PU leather cover with elastic band enables easier one-handed selfies, photos, single-handed carry, texting, and more. The elastic band carrying handle allows a firm and natural grip on your phone with comfort during daily activities while secure banded access to your cards. Simply attach Flip Card Holder on any flat backed case or your smartphone. Tough 3M Adhesive adheres securely to the device with a clear finish and removes without leaving a sticky residue with a high-quality application.The 3M may not adhere well on cases with patterns or 3D design textures.